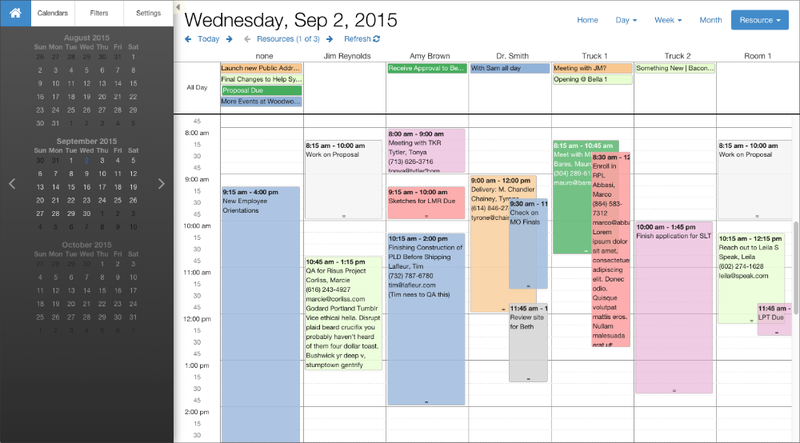 Your events can be linked to "resources" in DayBack; a resource can be anything you need to schedule--people, equipment, rooms--or a mix of those. And an event can even be linked to more than one resource. 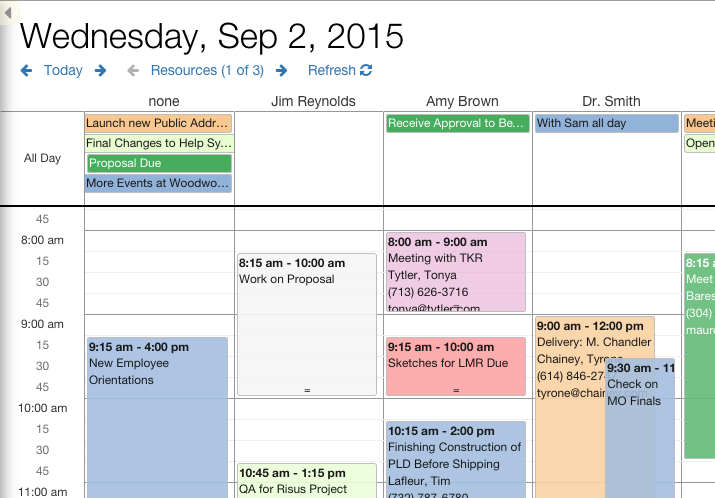 Resource view: configured to show 7 resources at once. Resource view: configured to show 16 resources on a large monitor. 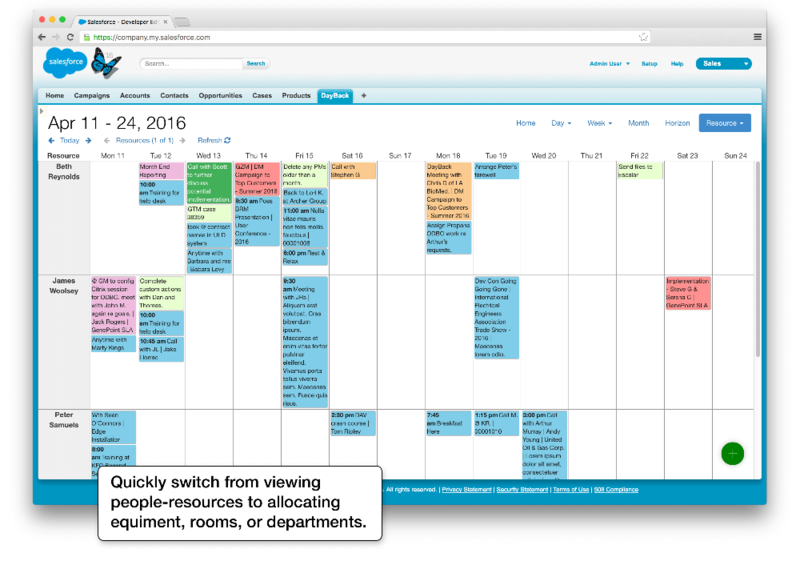 The Resources tab in the upper right of DayBack offers a couple options for the views shown above, including the option to scan across multiple days at once. This is very useful for balancing your workload. 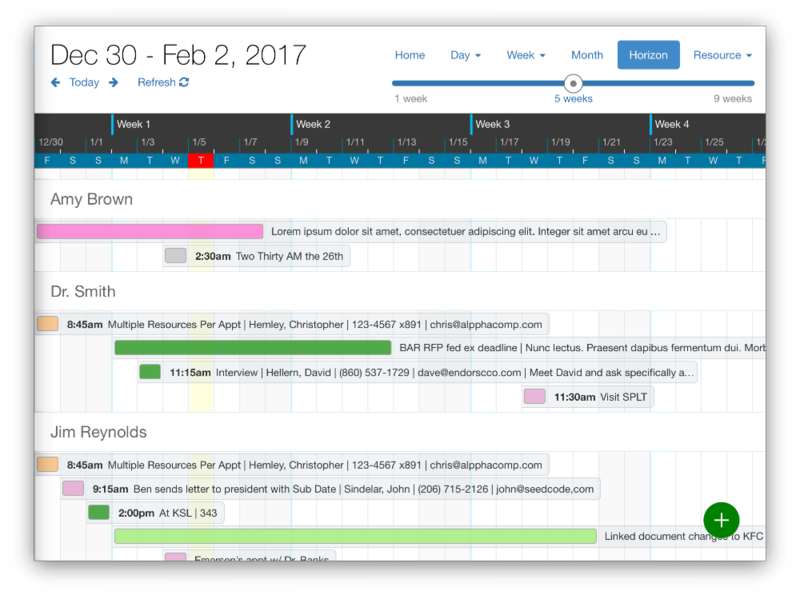 This version of Horizon view lets you work at longer time scales (up to nine weeks at a time) while focussing on what’s scheduled for each resource. 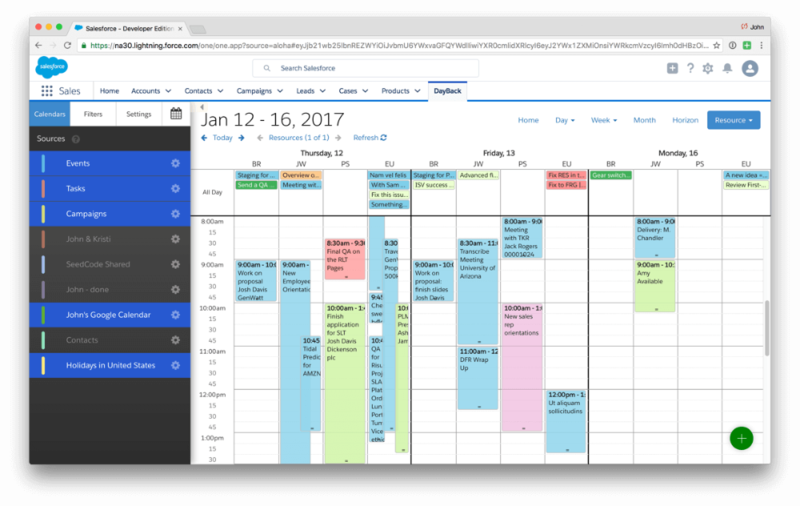 More info and a video of breakout in action are here: Breakout by Resource – balancing your workload. How can I change the list of resources? When trying to view a lot of resource columns it can be helpful to show abbreviated resources names. So when you elect to show more than twenty resource columns at a time, DayBack will display the resource's abbreviation instead of its whole name. 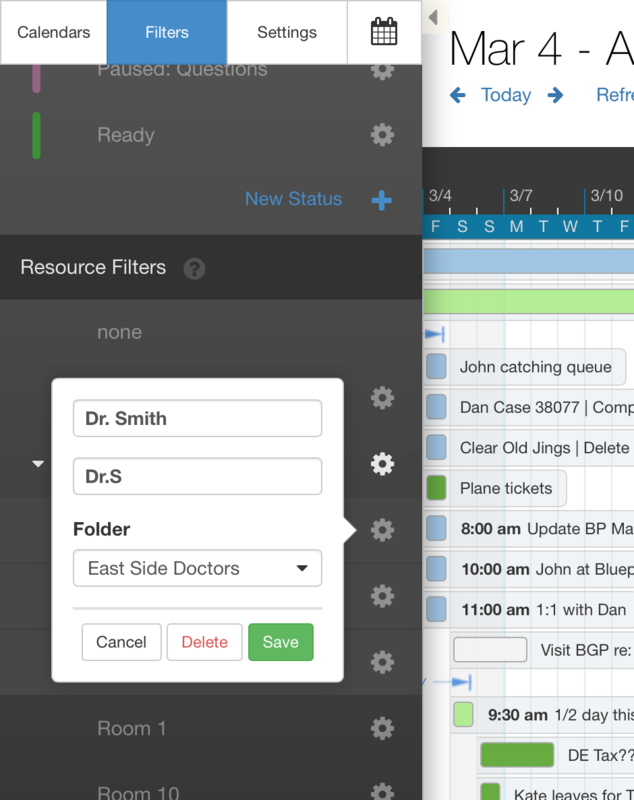 By putting your resources into folders you can quickly filter at the folder level, showing or hiding all the resources in a folder at once. If you'd like the same resource in more than one folder just create a second entry for the same resource name, placing each in their own folder. Note that the "none" column cannot be placed into a folder. By default, DayBack will use an item's owner as its resource. But when you map your objects' fields you can specify a field in your events table to use for resources: when the value in that field matches a value in this resources list, DayBack will draw the event in that resources column. DayBack requires the field you've mapped to "Resource" be the name of your resource, but if you're using IDs as well you can set up your ID field to lookup the resource's ID based on the name entered in the field you've mapped to "Resource".